The four “The Cellar” liquor stores are conveniently located, they offer one of the largest ranges of beer wine and spirits on the north coast of New South Wales. 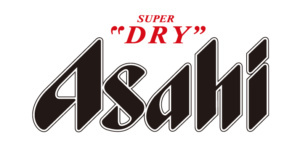 With huge buying power “The Cellar” can offer the best local prices. We are the experts at handling large weddings and parties. Our heritage encompasses the universal story of immigrants making good in an adopted land, the rise and rise of the Australian wine industry and the tale of a hardworking and innovative family who considers good wine, good food and good friends to be among the true pleasures in life. Follow De Bortoli Wines on facebook I twitter I instagram OR visit our youtube channel to view some great videos. Pristine isolation, twin oceans and ancient soils make Margaret River a wine paradise - the ideal environment for growing world-class Cabernet Sauvignon and Chardonnay. The wines are grown in Vasse Felix’s four vineyards situated throughout Margaret River, then estate-made and bottled within the state-of-the-art Vasse Felix winemaking facility. Vasse Felix wines are recognised benchmarks in Margaret River and Australia, and the Estate is one of the country’s draw-card winery destinations. We would love for you to join us at any of our picturesque backdrops to laugh, relax, unwind, imbibe. Petersons Wines is proudly family owned and operated since 1981. The original planting of ten acres of Semillon was planted at Mount View in 1971 with the intention of supplying the nearby McWilliams Mount Pleasant Winery with grapes. Over the next few years this was expanded to forty acres and we included other grape varieties: Chardonnay; Viognier; Verdelho, Gewurztraminer, Pinot Noir, Cabernet Sauvignon and Back Block Shiraz which is our most famous Hunter Valley wine. The Hunter Valley is where our only Winemaking facility is located. Chief Winemaker, Gary Reed has been with us since our first Vintage in 1981. Assistant Winemaker, Michael Hudson calls brother to Jamie - our Vineyard Manager in Mudgee. Jamie has been working with us for almost 25 years. Since our humble beginnings on a hilltop in Mount View we now have two cellar doors in the Hunter Valley. Our original Cellar Door at Mount View is still ever popular with our long standing loyal customers; we are now also conveniently located in the heart of Pokolbin on Broke Road. This vineyard of 100 acres is planted to various red varieties: Shiraz, Cabernet Sauvignon, Merlot, Durif, Zinfandel, Malbec, Petit Verdot and Chambourcin. This vineyard boasts some of our more famous red styles such as Glenesk, Ian's Selection, Old Block and Block One. Our whites also do well in Mudgee: Semillon, Chardonnay, Verdelho, Viognier and we now have Marsanne and Sauvignon Blanc. Petersons are the first Winery to ever win the Mudgee Wine Show Most Outstanding Wine of Show Trophy with a white wine (2008). We won the same trophy for a red wine in 2007. 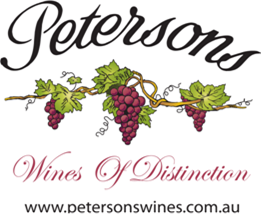 Petersons Wines Armidale is located in the South East of Armidale in New England. The vineyard is located on a rich, red brown basalt hill facing to the north east, and is planted with Semillon, Sauvignon Blanc, Riesling, Shiraz, Cabernet Sauvignon, Merlot and Pinot Noir. Our first harvest was in 2002. As Armidale is a cool climate area, we expect very high fruit quality for many years, weather permitting. After a lot of research into climatic conditions, we do anticipate some problems with vineyard management, but have established a specially designed trellis to avoid frost damage. This should enable us to maximise fruit ripening through increased sunlight exposure within the canopy. In addition, overhead sprinklers offer a back-up in case of severe frosts. With the beautiful 1911 built Guesthouse in Armidale, you won’t need much more convincing to come and join us for a drink. 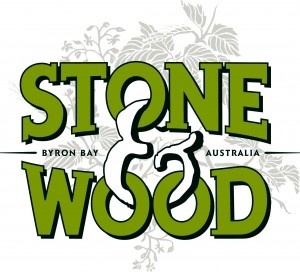 We established Stone & Wood Brewing Company in 2008. The three boys – Brad, Jamie and Ross had spent many years working in the beer business. The dream was to quit ‘working for the man’, shed the corporate garbage and get back to basics. As the original brewers of the Northern Rivers, we built our first brewery here at the eastern tip of Australia, in a part of the world where people enjoy having a beer when relaxing after catching a wave, catching a band at the pub or just catching up with friends. It’s that sort of place. We brew beer for times like these. Beers that the locals, those passing through the town and the growing number of drinkers who appreciate good beer, and of course ourselves, would find simply good to drink. Ned Kelly Red was the brainchild of Callipari wines in Mildura. At the end of the 2001 vintage we were confronted with a mountain of grapes that major wineries would not buy. We wanted a product that is unique and iconic. Ned Kelly Red is just that. It is all Australian & one of a kind and most of all, people love it. 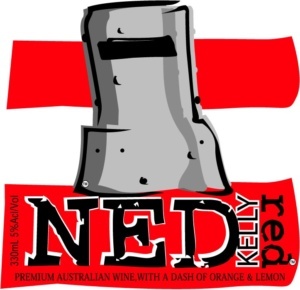 Ned Kelly Red is a Red Wine Spritzer, a blend of premium Australian red wine with orange and lemon juice, its all natural, has no artificial colouring and is very refreshing. Inspired by the diverse and vibrant rum culture of the Caribbean islands and a yearning for fine Australian spirits, distiller Paul Messenger, his family and friends embarked on a journey to create a plantation distillery on their cattle & cane farm, nestled in the green caldera surrounding Mt Warning in Northern NSW. KissOfire is an Australian family owned and operated company established in idyllic Hunter Valley. All KissOfire’s liqueurs are handmade, unique and delicious. Established in 1997, Zappa Wines from Dumaresq Valley Vineyard is proudly owned and operated by the Zappa family. 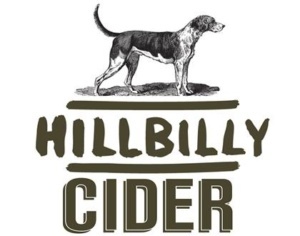 Located in Northern New England west of Tenterfield and today stands as one of New England's highly reputable wine lables. 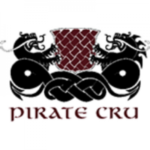 Rare and notorious wines from gnarly old vines in Barossa Valley, Adelaide Hills, the Fleurieu: pre-Raphaellite collection, Petite Cru & Slurpy Puppy. We don’t add sugar, we don’t pasteurise and we don’t add artificial flavours. We’re all about keeping it real – 100% crushed fruit fermented with minimal intervention. Natural C02 produced during fermentation makes for an easy bohemian bubble. Brookie’s Byron Dry Gin was launched in December 2016 and is the coming together of Legendary Master distiller, Jim McEwan, and the Brook Family. Co-Created by Eddie Brook & Jim McEwan, Brookie’s Byron Dry gin is made on the Brook family’s farm in the hinterland of Byron Bay and showcases native Australian Ingredients, many of which sourced from the heart of the regenerated rainforest on the farm.